Glorious Winter leaf and flower colour. 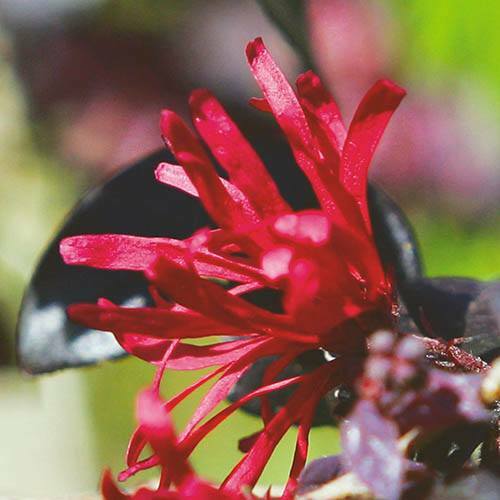 This new, enhanced variety of Chinese Witch Hazel produces the most spectacular firework-like flowers for 6 whole months of the year! 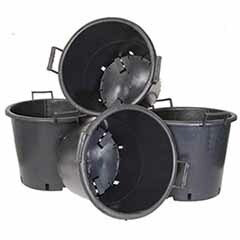 Perfect for adding amazing autumn and winter interest to your garden when much else lies dormant. 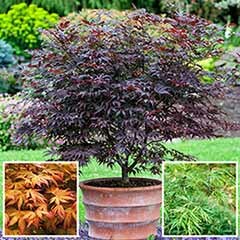 It's great in containers and pots on the patio as it doesn't require a lot of space to grow and loves shade. 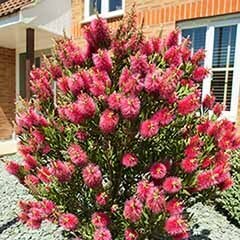 Slow growing and spreading it's a very easy shrub to maintain. 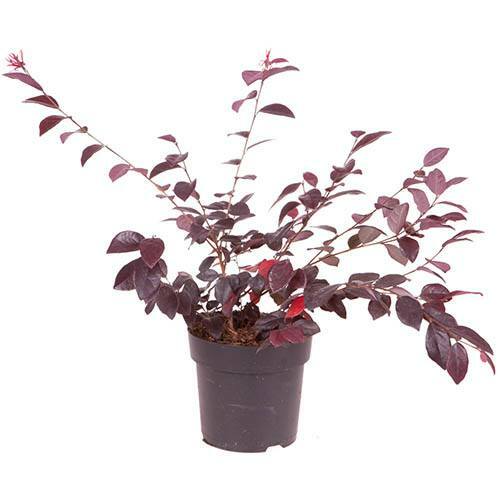 Supplied as a 2 year old plant in a 2L pot in leaf and ready to plant. 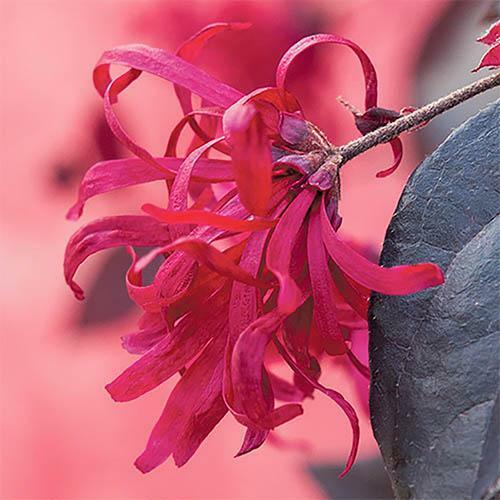 An unsung hero of the garden, the ‘EverRed’ variety of Loropetalum, or Chinese Witch Hazel, enhances its beauty even more. 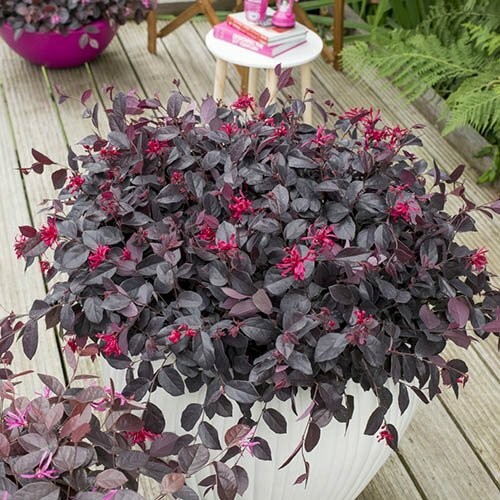 Perfect for autumn and winter colour in the garden, ‘EverRed’ has very deep magenta red ribbon-like flowers that erupt like sparklers for six whole months from October right through to March! The stunning flowers contrast against the deepest purple foliage that last all year round. 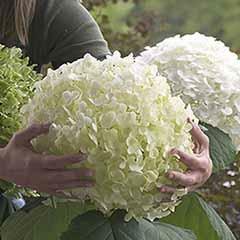 Great in containers, it is slow growing and spreading so is very easy to manage and maintain. 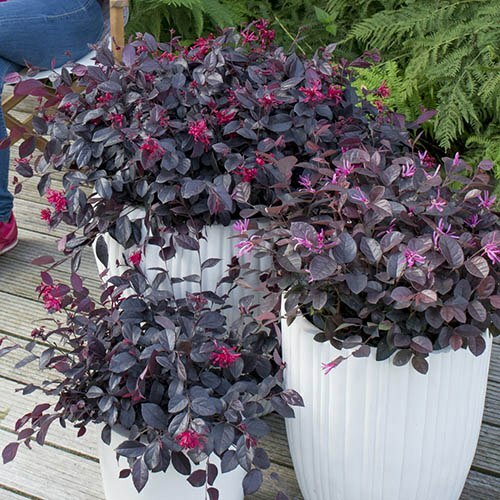 A great all-rounder, ‘EverRed’ is a shade lover that will thrive in gaps in beds and borders but it will also tolerate full sun if you want to plant up in a pot and place on the patio for a real feature! 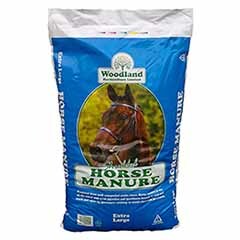 Does best in cool, well-drained spots - avoid wet roots in winter. Supplied as a 2 year old plant in a 2L pot, in leaf. Supplied as an established plant in a 13cm pot, ready to pot on. Avoid full sun and wet feet in winter. 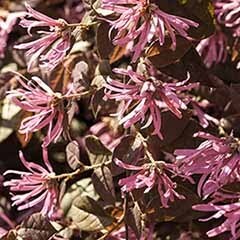 Like clematis, Chinese witch hazel likes to have cool roots, so grow it were the roots are likely to be shaded, such as among perennials or cover the area with a thick mulch of gravel. 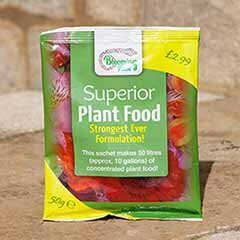 Have already put a review on this site for the previous plants in the original order. The plants were mostly fresh although the leaves on all the plants looked as if they had mildew on them which I got rid of. I am concerned that I can imagine that although the plants are packaged correctly at the wharehouse the boxes have an indication on them which SHOULD tell the deliverer which way up the boxes should be stacked before and during delivery. In both cases my plants ended up being stood up on end vertically rather than horizontally. This resulted in one plant being crushed and branches broken and the cane sticking through the outer packaging. I was sent a replacement, thanks, but again the box was stood up vertically instead of lying horizontally- plant was not as squashed as the previous one. Suggest the packaging should have either a notice stating STAND THIS BOX UP VERTICALLY or the design on the box changed to represent this information at the moment is has arrows on the SIDE of the box pointing in the horizontal position. 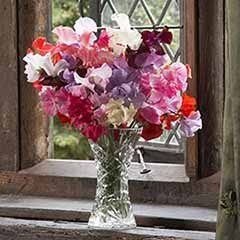 Apart from those comments I look forward to giving some of the plants to friends as presents which was the reason for buying them. First class service , healthy plants , just need bigger garden! 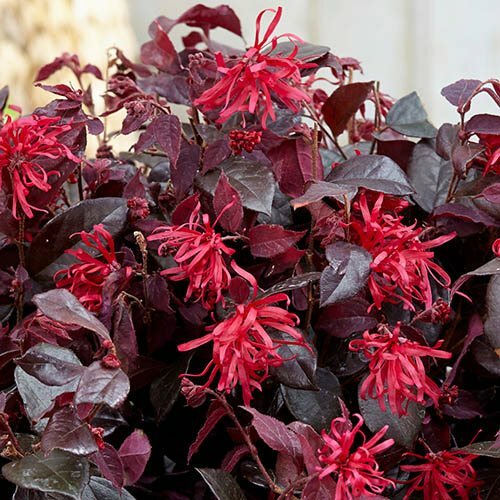 Good Chinese Witch Hazel plants, good instructions. Plants were delivered in an ordinary cardboard box, with some air packs wedged in. Plants looked half dead, very small and nothing like the photos on the website. Delivery was better than normal, as my previous order was left over the weekend at the delivery depot. Very small, half dead damaged plants. Nothing like the photos on the website, would not have looked out of place on the b&q reduced rack. 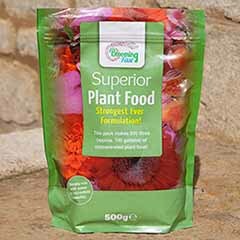 Plants are healthy, but had been not as well packed as previous orders and had been very slightly damaged in transport. 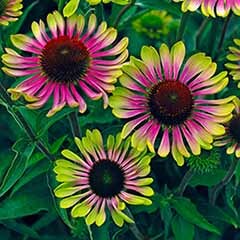 Have bought plants from GardenBargains before. Not had any problems with the purchases or the service and would definitely buy again. Please do come back to us should there be any problem with the plants. So sorry to hear the outer box suffered some damage but they're normally pretty robust. Emma at YouGarden. Thank you for your comments. Your original order was dispatched in August; when you informed us in November that you hadn't received it a fresh parcel was dispatched immediately and delivered within the next few days. Apologies for the inconvenience encountered on this occasion. Lovely ?? plants delivered on time: Well packaged, exactly as described. It is very clear that a lot of care has been taken to produce, supply and deliver these young plants: Thank you most sincerely! Fast, efficient and ?On-Time? delivery ? ?- Top Services!?? The item arrived very quickly & was well packaged with good instructions. Plants arrived sooner than expected so very speedy service. Good service. Always deliver plants in a few days from order placed but they need to be more carefully packed to avoid shrivelled up plugs that are loose n the container. 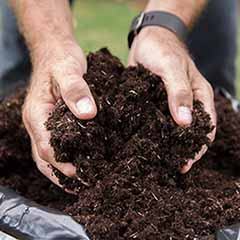 The packing of plants needs to be reviewed as they often arrive scattered about in the plastic container. Thank you - I will pass this constructive feedback on accordingly. Plant in very good condition. Will certainly order from yourselves again. Thank you. Fast delivery service, the item arrived much sooner than 7days, thanks. Plant was well packed and arrived in good healthy condition. Well packed, healthy shrub and plug plants. Lovely shrub arrived in healthy order and is doing well. very pleased with the plant I received. Speedy delivery, item well packed. when I didn't receive my order after a month I contacted them and they sent out another shrub which i appreciated. 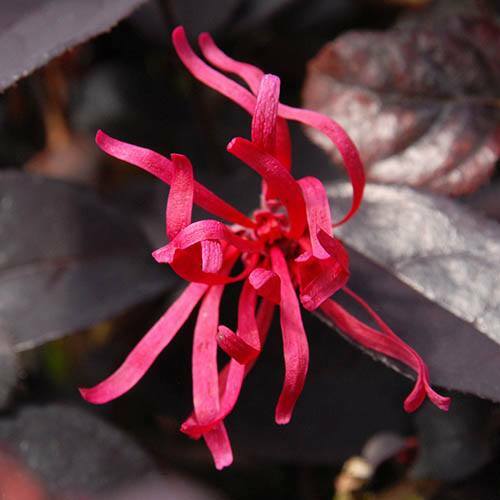 I'm sorry to hear that your replacement loropetalum isn't thriving. 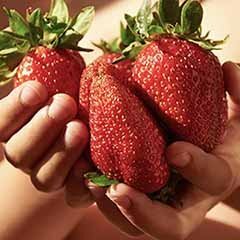 If you send some photos to CS@yougarden.com we'll be happy to advise. Plant arrived within time and in good condition. 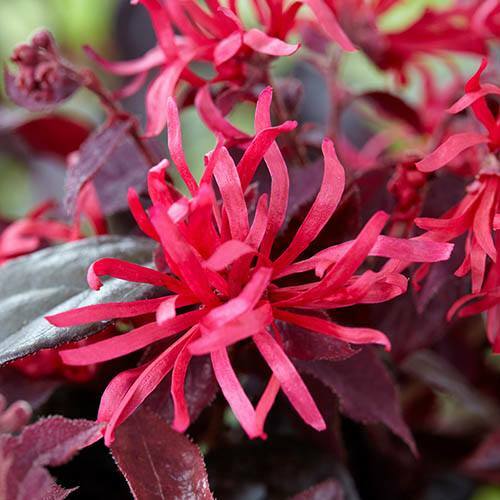 Loropetalum - too soon to say how it will turn out but the echiums I had earlier in the year are in cracking form. The plant arrived bent over in a too small a box and broken small branches...No problem and very helpful about replacement . 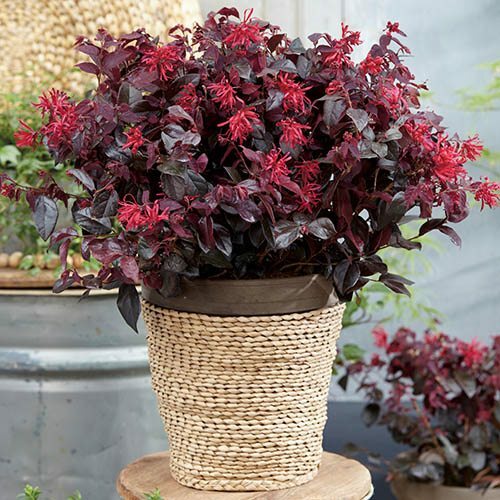 The second plant was still bent over and in a worse condition..
We are reviewing packing methods for the Loropetalum and do apologise sincerely that this happened. If it's not already been addressed for you please do drop us a line at cs@yougarden.com thank you. The plant ordered arrived in a box half the size of the plant the branches were bent over and some broken. Would never order from here again. I'm so sorry to hear of your disappointment with the packaging and delivery of your order. Please contact cs@yougarden.com if this hasn't already been addressed for you. happy with the company but plants were in the for post for 5 days very dry and soil was out of pots. because it was in the post for so long it was very dry and leaves falling off it has taken at least 2-3 weeks to pick up . Plants can dry out a bit in transit, but this is usually fixed with a good drink and plenty of light once they get out their box. If you still have concerns in another couple of weeks please don't hesitate to contact us again. I could have it replaced if I paid 6 for an everlasting guarantee. I was somewhat dismayed at this offer but really wanted this plant so I paid 6 and received it a few days later. I am not impressed with the outcome and feel I should have been offered a replacement plant and not asked for more money. I shall not be buying from them again. Disappointed that my delivery was made during the worst weather of the winter. It arrived when we had 6 inches of snow from the beast of the East despite the website saying that nothing will be sent if there was due to be bad weather! Not sure this plant will recover from the above situation. I had to protect it and was unable to plant it for a while. 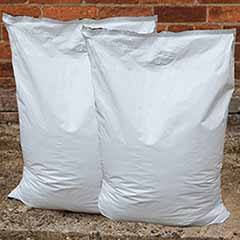 Please accept my apologies for your order arriving in bad weather - unfortunately it isn't logistically possible to hold all orders back. 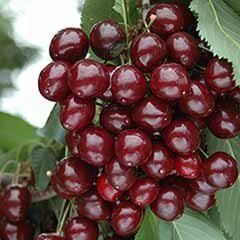 Any worries long term please contact us at CS@yougarden.com and we'll be happy to address them. Did not receive an email re dispatch as promised. Earth came out of the box when it was delivered. Plant arrived in good condition just wish the weather was a little more spring like so I could plant! 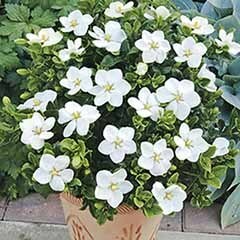 Although Garden Bargains state 7-10 days delivery, I waited 3 weeks, one of the plants ordered was out of stock, which didn't show when ordering. They didn't inform me, I had to contact them twice. Yet they took payment from my account only 3 days after placing order!! When plant finally arrived it looked sad, at least four branches broken due to the fact it was poorly packed. I'm sorry to hear that there was a lack of communication about your order on this occasion. 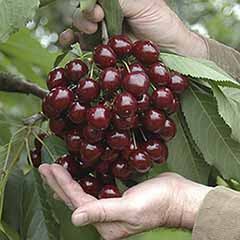 If you receive a plant you're not happy with please always let us know immediately; either by email at CS@yougarden.com or on 0844 6 569 569. The plant has recovered from the rough treatment during transit. Plants appear in reasonable condition, but a very little withering on a few top stems. I do not think this is a problem possibly just transport or weather conditions. The plant was delivered at the time they stipulated, so the service was good. I was surprised to find the plant was lying on it's side, but it was still in good condition although some of the earth had fallen out. Due to the cold weather I am keeping it indoors at the moment and it is thriving. Two quite healthy plants had been squashed into an open based box, with bits of plastic loosely wrapped around the pots. The pots were on their sides, meaning that soil spilt all over the carpet when I brought the box indoors. Several shoots from each plant were broken off or bent beyond saving because of the poor packaging. They would have been excellent if they had arrived less damaged. very good for the delivery side and also left where I asked to be left. so far it looks good and it and it,s starting to grow but very slow. Ordered two plants, both in same box, nice sized healthy looking plants. Unfortunately the box was a bit battered when it arrived, on taking plants out there were a few broken stems on each plant. Both given a bit of TLC and they now look fine. Just like to say that I feel your postage is a bit too much compared with others. Good condition but had been roughly dealt with while on it’s journey. It did take a bit longer to come but it was over a weekend. Parcel arrived with contents intact and plant no worse for wear looked very healthy. Never had a problem with this company. Very pleased with the quality of the plant. Thank you for the feedback, we look forward to hearing from you in the future. Plants were as expected, however the packaging and courier driver were dissapointing. The plants were being carried to the door upside down even though there were arrows on the box. But the plants were already packed on their sides and not upright and were very squashed with some small branches snapped off! I think you need to rethink your packaging techniques and maybe use a better courier! Looks like a nice plant, but as above some of the branches were snapped off in transit. Thank you for the feedback, we take any feedback very seriously and your comments will be passed on to our Nursery Manager. Some of the plants were damaged at the top as the box wasn't big enough and they were laying on their side rather than being upright and had lost some of the compost. We are sorry to hear that you received your order in this condition. Please do not hesitate to let us know if they do not thrive or if they need replacing. We take any feedback very seriously and your comments will be passed on to our Nursery Manager. My original purchase arrived damaged but was replaced with no trouble at all which is so good for customer relations. My replacement plant is looking good and healthy and I look forward to seeing how it grows.